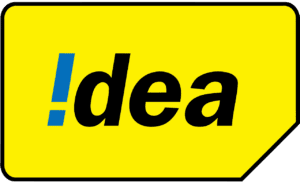 Hay idea users here is good news for you that idea has come with a great offer in which recharge of Rs 50 absolutely free by investing Rs 5 only. Get Rs 50 Free Recharge at Rs 5 only. his Idea GoRecharge offer is valid for Idea users only. So Hurry up and avail this offer . All You need to get this offer is to to Activate the Cricket pack for Rs 5 only to get Rs 50 Free Recharge. How To Get Rs.50 Recharge From Idea Recharge Loot ? Firstly Open Dial Pad in your Phone. Now Dial *563*5# from dial pad. Now Click OK and You will See a Pop Window Showed Below. Reply that message by Pressing 9. Now wait for 24 Hours and you will get a Message with a Link From Idea. Use this link to Get recharge. 2) Enter your Idea Mobile number, Name, State, City, age, Gender. 4) That’s it, You will get the Rs 50 Recharge instantly in your Idea Number. 1) Its a Very important to deactivate this service else you will be charge Rs 5/day. 2) Deactivate this only once you got Rs 50 Free Recharge, don’t deactivate before. 4) Your Service get deactivated soon.